or I Can Haz Lead Jammer? or whatever you want to call it...I make the best! The original LOLCat, in more ways than one but with tons of derby style. Thanks to Kerry McClain for the prettiest derby pics ever and LolCat Builder for making it easy to be witty. Thank you for the link! 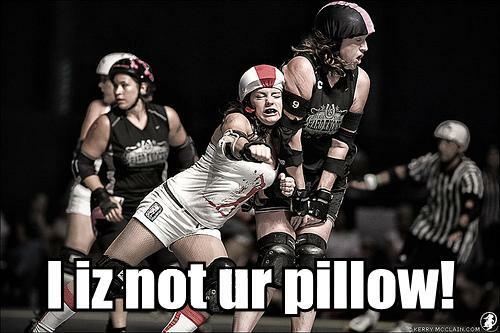 I used it to make two more derby LOLCATS!